Which has the greatest sales by both value and volume in the United States: Champagne, Burgundy or Cognac? All three are close together in volume, not so much in value. 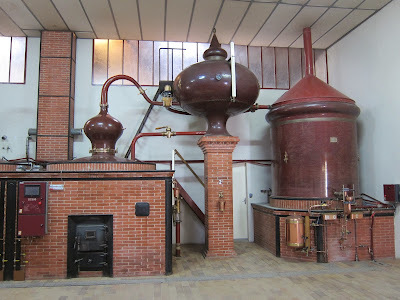 But the answer, in 2012, was Cognac, according to statistics from the French trade commission. Moreover, Americans spend more money on Cognac than all French AOP still wines combined. Reading the wine and spirits media, that doesn't seem like it could be true. But the numbers are the the numbers. The value numbers are particularly striking. Cognac sells just 4% more by volume than Champagne in the US and 31% more by volume than Burgundy. But Americans spend 60% more money on Cognac than Champagne, and three times as much money as on Burgundy. * Despite ongoing love from writers and sommeliers, Beaujolais sales continue to slide. * Americans drank less Champagne in 2012 than the year before, but paid more for it. * Bordeaux may be unloved on by-the-glass lists, but it's still the big dog in French wines, leading in sales by volume and trailing only Champagne in sales by value. * Provence is the hottest region here, with sales up over 37% (volume and value). Languedoc Roussillon (up 26%) is also hot. * French vodka sales took a precipitous drop in 2012, 32% in volume. Are Americans falling out of love with Grey Goose? In 2011 we bought more French vodka than all other French spirits combined. Not so in 2012. * Calvados sales grew robustly in 2012, more than 20% (volume and value) from a small base. * We sometimes equate Cognac and Armagnac. For every bottle of Armagnac sold in the US, 291 bottles of Cognac are sold. * Vermouth sales are skyrocketing: up 65% (volume and value). Hurray for Vermouth! So where do these numbers come from? The U.S. import data aggregate by country, not by region, so I'm guessing these are export figures from France?